North West water firm launches its second Innovation Lab to encourage new tech entrants into water industry. United Utilities has launched its second accelerator programme to help innovative businesses grow and develop their solutions through a collaborative approach. 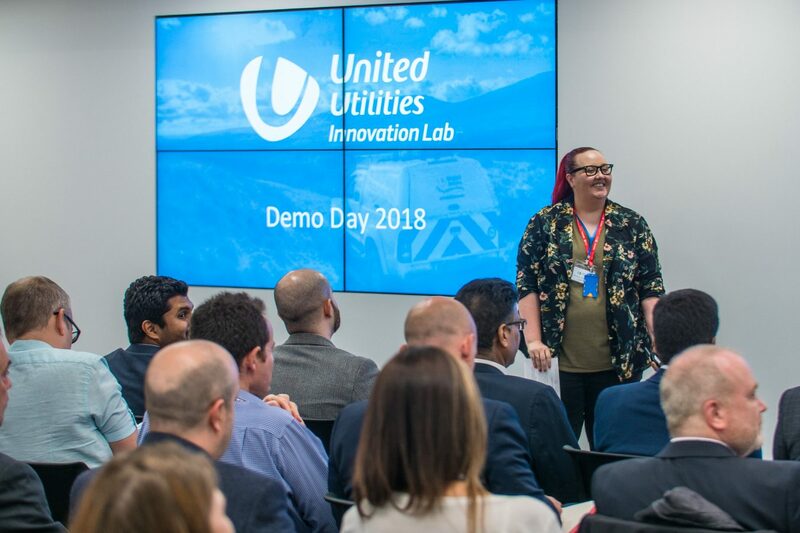 Following last year’s successful Innovation Lab programme which saw seven companies developing their ideas, United Utilities has started the application process looking for its second cohort. The Innovation Lab offers a unique opportunity for innovative businesses to collaborate with the water company, helping to tackle key business challenges. Once again the programme is being run with corporate innovation specialist, L Marks. Right Information, Right Place, Right Time: United Utilities is adopting a centralised “systems thinking” approach, allowing it to operate and monitor its assets as an end to end network. Currently, UU has a large amount of data from multiple sources. What solutions can help it improve data management and provide greater insights to the right person, in the right place and at the right time? Last year’s Innovation Lab was a huge success. We made connections and set up contracts with some exciting new suppliers that would never have crossed our path otherwise. It’s fair to say that the Lab helped us to hone our PR19 business plan, bringing innovation right to the forefront to help meet the challenge of delivering more to our customers for less. We’re very excited to launch the second Innovation Lab and we’re looking forward to hearing from even more companies with great ideas. Together we can develop those ideas into better and more efficient services, not just for our own customers but right across the water industry. We are delighted once again to partner with United Utilities in delivering the second Innovation Lab. The first Lab was a huge success capped by the Supply Chain Excellence Award at the Utility Week Awards 2018. We are looking forward to uncovering the most exciting and innovative companies that can help address United Utilities’ key business challenges and build on the success of the 2017/18 programme. United Utilities is the UK’s largest listed water company and manages the regulated water and wastewater network in North West England – which includes Cumbria, Cheshire, Greater Manchester, Lancashire and Merseyside with a combined population of nearly seven million. United Utilities’ headquarters are in Warrington. Its shares are listed on the London Stock Exchange and the FTSE 100 Index. In 2018 the company was awarded World Class Status in the Dow Jones Sustainability Index for the 11th year in succession. In 2018 the company was also accredited with the Service Mark by the Institute of Customer Service.